According to Wikipedia, A tenderfoot is slang for an inexperienced person, particularly one who is not adapted to a rural or outdoor lifestyle setting. 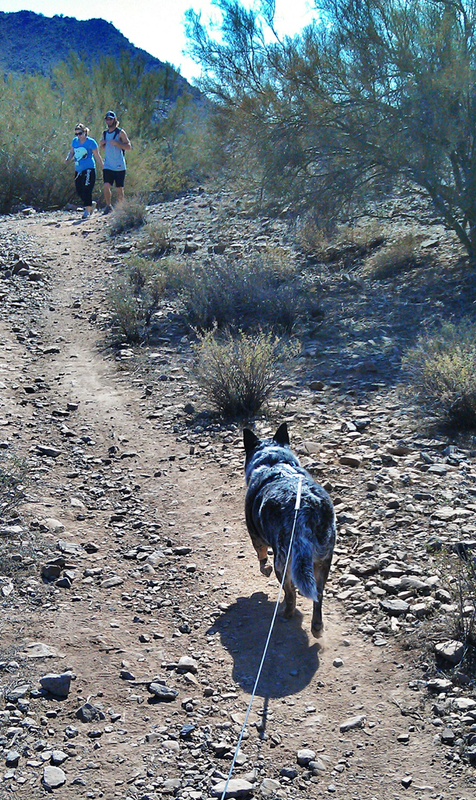 I mentioned Saturday that I am starting to train my Australian Cattle Dog, Wiley, to be a trail dog. She’s admittedly overweight, uncoordinated and….a tenderfoot. 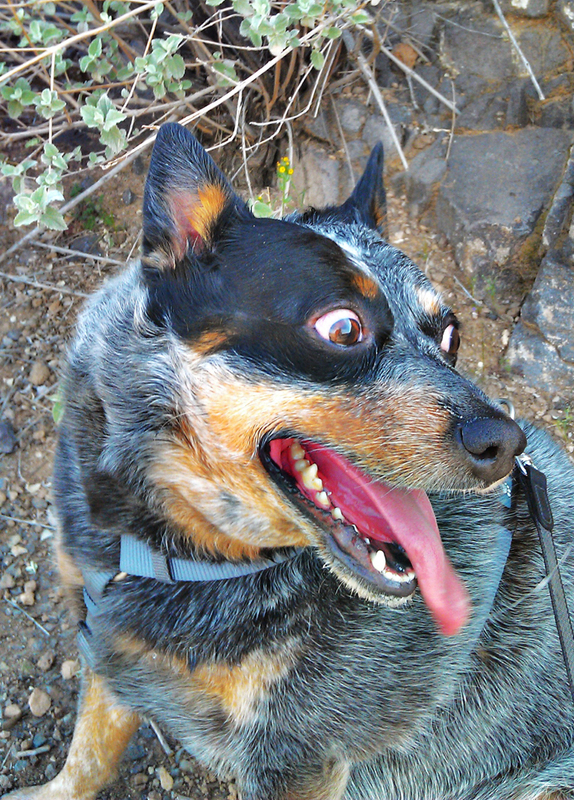 She has only been on a couple of hikes in her life, and those were many years ago. Since then, she has been relegated to a few sporadic neighborhood walks. Knowing this, I am taking steps to take her training slow and make sure she builds the physical conditioning she needs to conquer the trails. I may have overdone it a little yesterday. 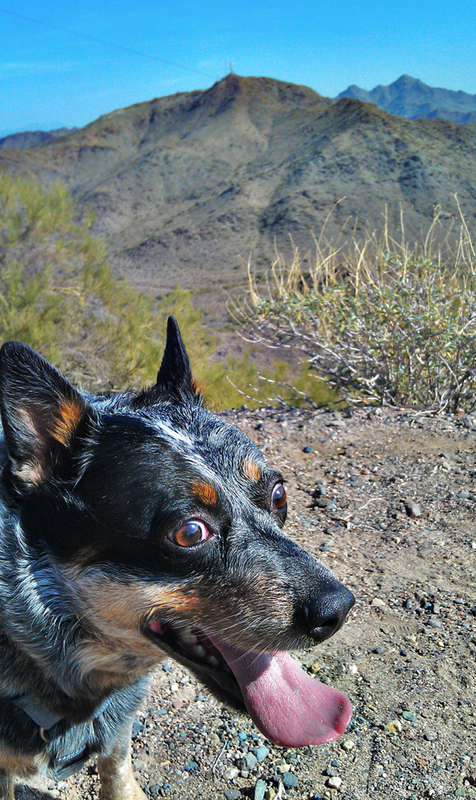 He first conditioning hike was only about 1.7 miles and, though a good climb, was on a mostly paved surface. She did well and other than being tired, didn’t show any real signs of wear-and-tear. So when it came time for our next hike together I decided to push a little more and get her out on some real dirt and double our distance. We did a moderate 3.4 mile hike with a good mixture of flat hiking, climbing and descending. The terrain was a mix of soft dirt, rocky dirt, gravel trail and, in some spots, eroded and broken down asphalt. My little tenderfoot is, literally, a tenderfoot today. Her pads are a little chewed up from the trail and she is walking very gingerly around the house today. She is obviously sore and stiff and only gets up to move when she feels she needs to. I think I overdid it. Lessons learned: 3.4 miles is outside her comfort zone right now. She started showing signs of fatigue around 2-2.25 miles. So, for now at least we will keep her training limited to 1.5-2.5 miles until she shows me she can handle those distances with ease. For now, does anyone have any advice for treating her sore, chewed up little paws? My understanding is that giving a dog pain relievers is not a good idea (no Ibuprofen for her!). I am giving her treats with supplements for her joints, which should help long term. As always, any advice or tips are welcome.